1-1/4'' Wooden Dome Disc (.250'' thick)Sold in lots of 50. As low as $4.20 per lot. 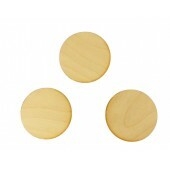 ..
2-1/4'' Wooden Dome Disc Sold in lots of 25. As low as $4.75 per lot. ..
2-7/8'' Wooden Dome Disc (.375'' thick)Sold in lots of 25. As low as $15.00 per lot. 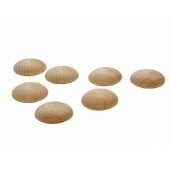 ..
3/4'' Wooden Mushroom plugsSold in lots of 25. As low as $2.25 per lot. ..
1-1/2'' Wooden Craft DiscSold in lots of 25. As low as $3.00 per lot. 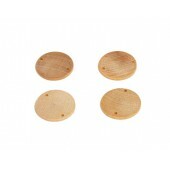 ..
1-1/2'' Wooden Discs with Two 1/8'' holesSold in lots of 5. As low as $5.00 per lot. 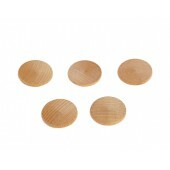 ..
1-1/4'' x 1/8'' Wooden DiscSold in lots of 50. As low as $2.30 per lot. ..
1-1/8'' x 1/8'' Wooden DiscSold in lots of 50. As low as $1.50 per lot. 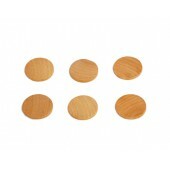 ..
1-3/4'' x 1/8'' Wooden DiscSold in lots of 25. As low as $3.20 per lot. ..